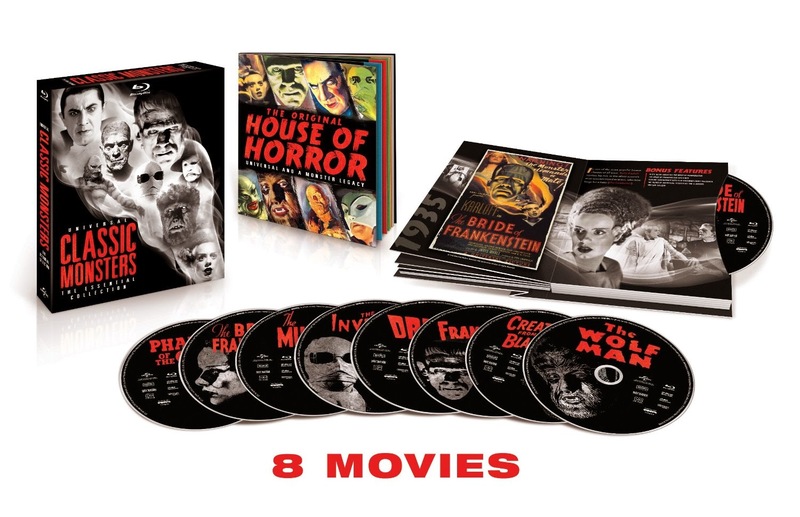 Universal Classic Monsters: The Essential Collection showcases 8 of the most iconic monsters in motion picture history including Dracula, Frankenstein, The Mummy, The Invisible Man, The Bride of Frankenstein, The Wolf Man, Phantom of the Opera and Creature From the Black Lagoon. 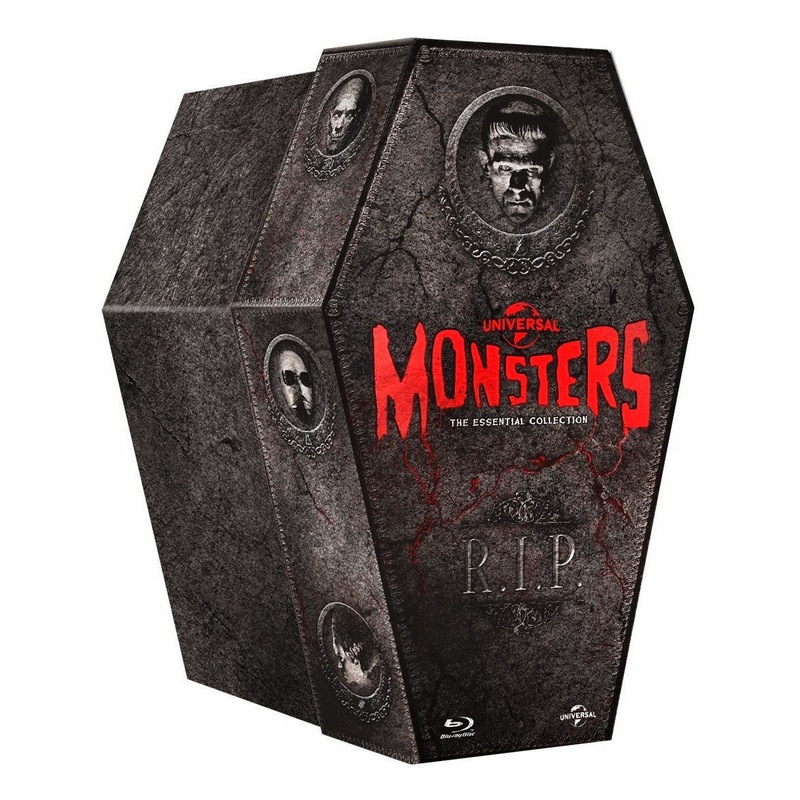 Featuring over 12 hours of revealing bonus features plus an exclusive collectible book, each film has been digitally restored from high resolution film elements for the ultimate classic monster experience. For the serious collector, a gorgeous limited edition coffin set was released in the U.K. (in October 2012). It features all 8 movies plus the 3D version of Creature from the Black Lagoon, lobby cards, and it’s region free so it will play here in the U.S. It’s still fairly easy to find on Amazon, Amazon UK and eBay for just under $200.